Samsung has launched M10 and M20 smartphones today (28 Jan 2019) in India. The M-Power device has finally arrived. We are still waiting for M30 phone detail as well. Galaxy M20 phone comes with infinity v display and 5000 mAh battery. Both the phones are coming with slight changes in the specification and features, so, prices accordingly. 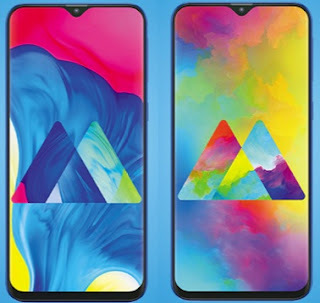 The brand has earlier released Galaxy A8 and Galaxy A9 phones etc. so, the fan can now enjoy the M series as well. If you are looking for Samsung Galaxy M10 and M20 smartphones key features, technical specifications, price, first impression, unboxing, comparison, review and hands-on etc. then you could find some of them over here and the rest we may cover at a later stage. Both the phones are powered by Exynos processor, Galaxy M10 is powered by Exynos 7870 whereas Galaxy M20 is powered by Exynos 7904 processor. They are coming with different variant as well with regards to RAM and ROM. Galaxy M10 starts from 2GB to 3GB RAM whereas Galaxy M20 starts from 3GB to 4GB RAM variants. Both the smartphones run on Android Oreo operating system. M10 and M20 camera is almost same megapixel except the front shooter. If you are looking for cheap and best smartphones with well known brand then both or one of this mobile phone is for you. Pleas find M10 and M20 cell phones' specs and price detail below. Samsung Galaxy M20 price: INR 10,990 (3GB RAM/32GB), INR 12,990 (4GB RAM/64GB). The subject mobile phones will be available from Amazon India, Samsung e-shop from March 5, 2019. Tips: The budget smartphone with high-end features.